There has been a Chamber of Commerce or Business Association in one form or another in the valley for decades, the first being The Windermere Board of Trade, established in 1956. The most recent incarnations being The Radium Hot Springs Chamber of Commerce, Columbia Valley Chamber of Commerce, Invermere Business Committee and the Fairmont Business Association. Although each one focuses on promoting and supporting their own community and businesses, the four entities come together to promote the Columbia Valley as a whole. The role of a chamber of commerce or business association is to support its members and give them a chance to have a collective voice in their community when dealing with all levels of government. 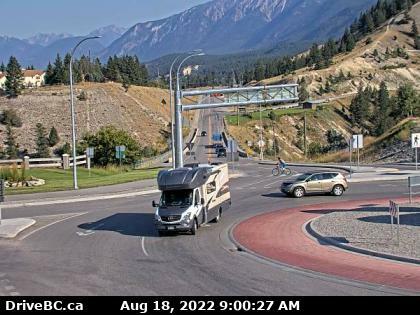 The Radium Chamber of Commerce and Tourism Radium publish the Tourism Radium Publication and the Radium Tear Off Map annually with our partners. 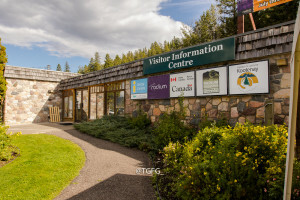 Both of these publications are used as promotional tools in the Radium Hot Springs Visitor Information Centre and are distributed to other community visitor centres within or Region, the Province, Alberta, and Saskatchewan. The Tourism Radium Publication has been designed to showcase the Village of Radium Hot Springs. The publication is designed to highlight our the find your peace brand to help us lure visitors to the Village of Radium Hot Springs. The Radium Hot Springs Map is a benefit to all members in good standing. Each member receives a location placement on the Village Map. Signage, general marketing, statistics regarding facts and trends, research, training opportunities and the ability to coordinate special events are all bonuses of becoming a large, organized group. The Radium Hot Springs Chamber of Commerce is a member of the B.C. Chamber of Commerce. To learn more and to become a member contact us at the Radium Hot Springs Chamber of Commerce.